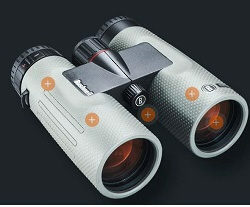 If you are passionate about night vision binoculars and looking for new innovations. Then, Yukon Tracker 1×24 Night Vision Goggles is the perfect solution for you. The Yukon brand is famous for its wide range outdoor optics device, once again it presents us with a night vision goggles that does not fail to meet the needs of all those who like to observe the night. 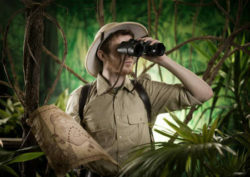 It is ideal for hiking, camping, wildlife viewing, caving, hunting or even surveillance. You can enjoy the Yukon Tracker NV 1×24 according to your desires and needs. Today our outdoor expert prepares Yukon NV 1×24 Goggles Review after-hours research to help you make the wise buying decision. It is a wonderful night vision binocular for its latest innovations, and especially the possibility of being able to practice your favorite activity in the best possible conditions. The Yukon NV 1×24 Googles is equipped with a head mount for comfort and extreme freedom. Both hands are free which will give you an even more intense and exciting night vision experience. It’s up to you to use it with or without its head mount; everything will depend on your activity and you need to have to handle objects with your hands. Like all Tracker models, the Googles 1×24 Tracker uses the newly designed Eclipse lens protection system, which allows quick lens opening, dioptric adjustment with center focus, and a wide field of view. The exclusive YUKON lens protection system not only protects the device from the large light sources but also the user of several other irritations. An ergonomic design and a body with a portable rubber coating around the neck for long expeditions. This Yukon NV 1×24 Goggles is lightweight, compact, very affordable and will make your observation a joyful experience. Particularly appreciated is its weight, which is expected to be low by the manufacturer of night vision cameras, so as to make it possible for the night vision enthusiasts to enjoy a high level of ease of use, so the Yukon Tracker 1X24 weighs some 800 grams. Installed on the head mount, it will not be disturbing! Designed to be tough and reliable, the Yukon Tracker 1 × 24 Night Vision Binocular is fully covered with rubber, protecting it from impacts and shocks. First generation night vision device. 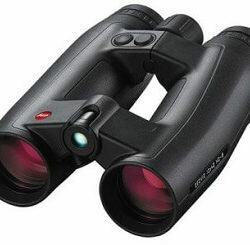 These night vision binoculars allow you a range of observation of the order of 200 meters. 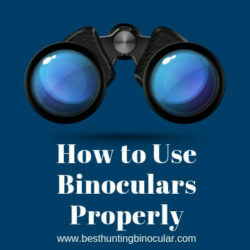 Obviously, its main strength lies in its head mount, accessory, included with the purchase of these binoculars, which allows an ease of use, indisputable. Its warranty extended over a year (2 years) is appreciable, in the case of malfunction, problems, one will be able to obtain repair. 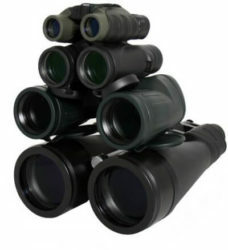 This night vision device has supplied with carrying case, in addition, it has a rubber coating for optimum resistance. The Yukon Tracker 1 × 24 binoculars are equipped with an infrared illuminator that makes it possible to find oneself in total darkness, so caving professionals could use them for their activities. The cleaning cloth of the binocular is not provided. The purchase price is a little bit more around 750 dollars, though it is not significant as it is a high performing binocular and it worth this value. 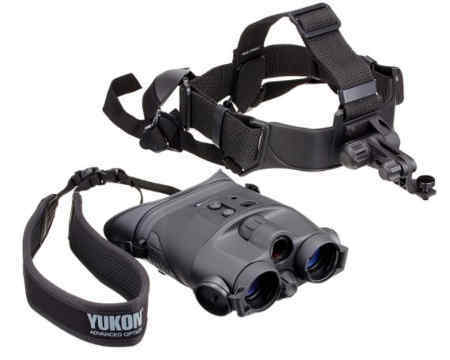 Yukon Tracker 1×24 Night Vision Goggles. I purchased these NV goggles back a couple of years ago for security around the homestead. I go on maneuvers pretty regularly, sometimes with no moon and sometimes with a partial or even a full moon. If you have a half to the full moon, then you’re not going to need to use the infrared on these. The infrared does allow for brilliant illumination while wearing the goggles up to about 50 yards and the configuration is suitable in other words, saturation is adequate, and everything is pretty clear. 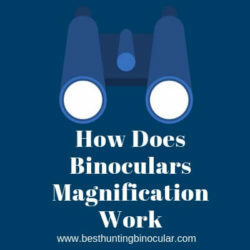 Just make sure that when you set these up, you have them close enough to your eyes to be able to focus correctly, there are individual focus diopters on each eyepiece, and getting it just right can be a little confusing initially. But with some practice and also following the instructions you can tune out in. I used lens covers in the down position, inside the house w lights on, they have a pin hole so that you can use them inside. Just helps quite a bit in getting it set up correctly. Then double check the focus outside in the dark. This is an excellent product, as long as you remember that you shouldn’t expect Gen II or III performance from this unit. Vision/detail without infrared illuminator is adequate out to around 25-30 yards under ambient starlight or moonlight. Field of view is very limited and can initially lead to a feeling of tunnel vision until you get used to it. Battery life is great, even if using the infrared and the battery can be replaced easily without tools. However, it is a CR123 battery, so they are a bit more expensive. The headgear is also adequate and does function ok once you adjust it to your head. However, unless you have a tiny head, you will have to remove the chin strap, because while the rest of the straps adjust for larger heads, the chin strap does not. Overall, it’s a great value, it’s incredible to see in total darkness with the IR on, and if you’ve got any light at all, you can walk around in what would appear to be total darkness to the casual observer. Question: Are these good for night time wildlife viewing?? Question: Is there any output that I can hook up to a recording device to record footage? Answer: No, there are not any outputs on this unit. Question: Can I use it hiking at night? Answer: Yes, you can. But it might take some time to adjust. You can observe things close in a wooden area with no moonlight. You are limited to about 100 yards. I would suggest you practice before completely relying on this device for a night hiking experience. Question: Can I use it while riding my motorcycle at night? Answer: Sure why not? Just make sure you take a good solid hit of LSD first, so you’ll die with a smile on your face. Question: What generation NVG are these? Answer: It is a Generation 1 NV. 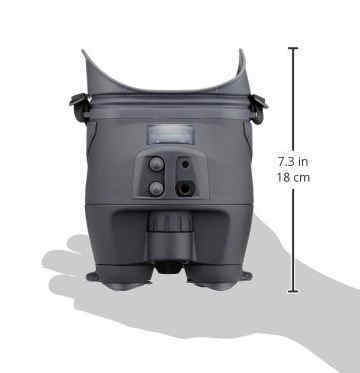 It is very useful since the price is a good value the IR works good, and the one problem is the size of the headgear, and it’s small especially if you’ve got a big head. Question: Can I wear glasses? Answer: I require glasses to see, and did not them once you get the goggles centered, may have the capacity to wear security goggle solution focal points that fit level to your face. Question: Can it be used with a helmet mount? Answer: Have not utilized it that way. But it does fit well over a bare head and a baseball cap. Question: How long the battery last? Answer: Battery Life (with IR)- 20 hours, Battery Life (without IR) – 72 hours. Question: can I use it to read maps/notes? Answer: Absolutely you can very clearly. Question: what is the visibility range? Answer: I use these hunting feral hogs at night. The visibility is not very good past about 40 yards on a night. Also when walking if you adjust the focus for looking near, it will be blurry if you look out past your feet. On a full moonlight night, you can see pretty far with them, but they do not have much magnification, so it is hard to make out what is out there. Question: Does this unit have a red light on the front that can be seen by other ppl. Answer: Yes, it has an infrared light. You can turn it on or leave it off. Question: how to do these work as in shooting with open sights? Answer: Really work well, you need some adjustment but is good. Question: can I use these with a rifle scope? Answer: No. Considering your eye should be about an inch from a scope, the goggles would push you back too far. The Yukon NV 1×24 Goggles is an excellent product, the quality of observation is impeccable, and the head mount provides optimum comfort. So, you are well informed about the specific characteristics of the Yukon Tracker 1 × 24, allowing an observation at night, resulting from the first generation and implemented for a widely attested comfort of use. In this Yukon NV 1×24 Goggles Review, we revealed all the details info about this bino. Hope this will help you lot. For the enjoyment of nightlife enthusiasts, there’s no doubt that the Yukon Tracker NV 1×24 Goggles will delight you.